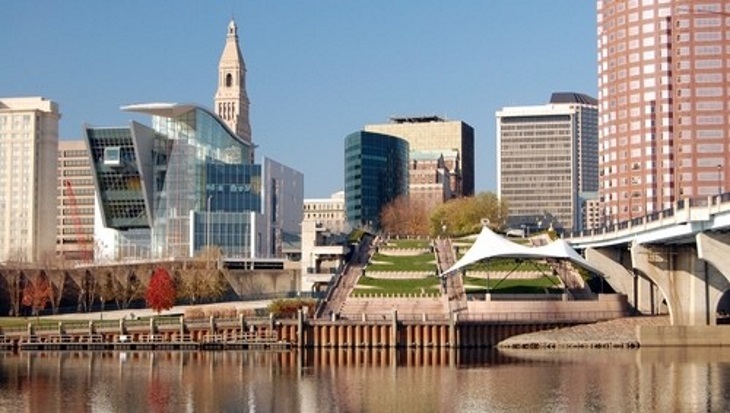 The state of Connecticut may have found a way to close its budget gap, but the measures aren’t going over well with the health care sector. After facing a $350 million deficit, Gov. Dannel Malloy has looked to hospital spending to fill in the shortfall. In September, the governor called for emergency rescissions of $102.8 million from the state budget, including $63.5 million in the state’s hospital Medicaid funding. In an interview with WNPR, Malloy argued hospitals are generating more revenue than in previous years thanks to the Affordable Care Act and no longer need as much funding from the state. Malloy further noted many nonprofit public hospitals have CEOs with salaries exceeding $1 million annually. If hospitals are feeling stressed by funding cuts, they should look to trim on executive salaries, Malloy argued. However, hospitals contend only accounting for salaries and how much money was generated paints an inaccurate picture. Speaking with WNPR, Dr. John Murphy, president and executive director of Western Connecticut Health Network, said a proper understanding of hospital economics must also look at losses. Under the Affordable Care Act, the state’s hospitals have suffered tens of millions in economic setbacks, Murphy said. Part of this contention lies in with the ACA’s Medicaid expansion. Malloy’s administration contends hospitals will receive more Medicaid funding than ever before since more patients are now using the program. However, hospitals contend each Medicaid patient is costing them 60 cents on the dollar. As the CT Mirror reported, the state legislature restored about half of the hospital funding Malloy’s proposal cut during a mid-December budget deal. Hospitals will now receive $164.3 million in state and federal funds in addition to $21 million in overdue payments from the state. However, what survived of Malloy’s budget cuts will still create a $34.2 million loss in state Medicaid funding for 27 of the state’s 29 hospitals. Hospitals will also miss out on matching funds from the federal government, meaning all told hospital funding will be reduced by $91.7 million, the Mirror found. According to the Hartford Courier, the governor’s budget cuts have already begun impacting some hospitals. St. Francis Hospital and Medical Center in Hartford reduced staffing and services at two of its clinics. Hartford HealthCare cut 335 positions to achieve a $40 million spending reduction. Additionally, Yale New Haven Health is examining its budget looking for ways to cover Medicaid expenses, the Courier reported. The Courier found Connecticut’s current health care funding is the lowest in the U.S. Additional spending cuts are expected to come from staff layoffs and service reductions, which will likely increase wait times at emergency rooms, the Courier reported. Meanwhile, the Connecticut Hospital Association launched a multi-channel ad campaign and a new website calling on other state legislators to intervene in returning all funding to hospitals. According to the CHA, one in every five Connecticut residents is on Medicaid. Without state assistance, hospitals will struggle to cover the cost of care for these patients, the CHA argued. The CHA has also distributed a public petition calling on Malloy to rescind his cuts. The petition has gained more than 10,000 signatures. Hospitals facing significant budget challenges can benefit from Questica’s scalable and comprehensive health care budgeting software. The health-care-specific platform is designed to analyze funding gaps, help identify inefficiencies and track all sources of funding. Questica’s budgeting platform provides increased visibility into a hospital’s financial health, from grants and donation management to salary expenses. Through tools including staffing pattern analysis and actual cost-versus-budget tracking visualization, stakeholders can identify areas where efficiencies can be gained. Hospitals can also use Questica Performance to evaluate the impact that spending cuts have on the organizations corporate performance objectives such as readmission rates, wait times and preventive care treatments. Questica’s web-based solution also complies with tight industry privacy regulations to secure and protect sensitive data. Health care organizations facing funding cuts should contact Questica to learn how configurable budgeting software can help to evaluate the impact of budgetary changes.